A Swiss T20 international side will tour Lancashire in the UK from Saturday 25th to Monday 27th August 2012 in an exciting and challenging programme of matches. The tour begins at Morecombe Cricket Club on Saturday 25th August, before moving on to Leigh Cricket Club to compete in their T20 competition and finishing off at Littleborough. Tour matches begin on Saturday with a friendly against Morecombe CC who play in the northern Cricket league. Founded in 1889, Morecombe Cricket Club is by far the oldest sporting organisation in the town. Morecambe CC played originally at the Summer Gardens before establishing their present ground in May 1900. The ground was laid out by Jonny Briggs of Lancashire and England fame. In the 1920-21 season Morecambe FC ground-shared at Woodhill Lane before moving to Christie Park in 1921. After joining the North Lancashire League in 1901, leaving to have a spell in the Palace Shield Competition before rejoining, the club joined the Ribblesdale League in 1947 before becoming founder members of the Northern League in 1952. Morecambe were North Lancashire League champions in 1928 and 1937 and have been champions of the Northern League on four occasions, in 1968, 1992, 1995 and 2006. They were second division champions in 1991, 1994, 1999, 2002, 2004 and 2006.
Notable former professionals include Colin Hilton, David Halliwell, Ravi Shastri, Robert Haynes, Steven Pope, Ashwell Prince and Charl Langeveldt. 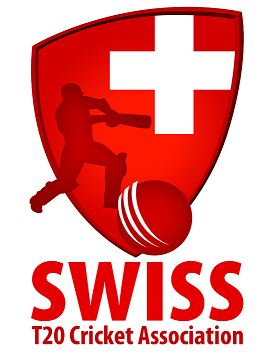 On Sunday 26th August the SwissT20 National team will play in the Leigh CC 20/20 Festival where they will be one of 4 teams in a 20/20 competition with semi-finals, 3rd & 4th place play-off and a final, followed by an evening of entertainment with MC at the Leigh CC ground. Leigh Cricket Club are members of the Liverpool and District Cricket Competition, the Premier League in Lancashire. The tour will end on Monday 27th August with another T20 match, this time against Littleborough CC who play in the central lancashire league. Littleborough CC was formed in 1839 and were founder members and inaugral champions of the famous Central Lancashire League, a title that they have won on 20 occasions since. the central lancashire league has always had a requirement for one professional player and ten amateurs and Littleborough CC have boasted such names as Sir Gary Sobers, Joel Garner, Andy Roberts, Franklyn Stephenson, Ezra Moseley, Hamish Anthony, Mike Whitney and Stuart Law as pro over the years. Their current professional is Australian Clinton Perren who was a mainstay in the Queensland side for many years. Littleborough have a proud and rich heritage and an 'international' match against the Swiss T20 National side be a truly memorable occasion.